Olympic Games | Enough of this Tomfoolery! In a few days’ time, the world will descend on Rio de Janeiro for the 2016 Olympic Games. It is acknowledged that the modern games have their roots in Ancient Greece, most notably the games at Olympia and Nazi Germany where parts of the opening ceremony such as showcasing the host nation’s history and culture as well as the journey and lighting of the Olympic flame were introduced. What have been overlooked or forgotten are the British roots of the modern Olympic Games, something that London was keen to emphasise when it hosted the Olympics four years ago. When the Olympic and Paralympic mascots were unveiled to the press by Lord Coe, much was made about their names Wenlock and Mandeville. Both mascots were named after places from where the Olympic and Paralympic movements traced their origins. In particular, Wenlock was named for the town of Much Wenlock in Shropshire where since 1850, the Wenlock Olympian Society have been organising the Wenlock Olympian Games. In 1890, the games were attended by a French educator and aristocrat Baron Pierre de Coubertin and what he saw that day in Much Wenlock would play a part in his idea for reviving the Olympic Games. However there is more to the British roots of the modern Olympic Games than the Wenlock Olympian Games. The whole ethos and ideals of the Olympics – the concept of amateurism, the emphasis on taking part rather than winning, the role of sport in character building and the notion of fair play all has its roots in the nineteenth century British education system. While amateurism in its purest form has largely disappeared from the Olympics, the others have remained the bedrock of the games despite all the controversies that recur every four years that the games are held. When well-known sports people such as Jessica Ennis-Hill, Nicola Adams, Andy Murray and Chris Hoy are interviewed they frequently cite the benefits of sport, not only in the physical sense but also in the psychological – sport can instill a sense of team work, sense of accomplishment, discipline and develop character. None of these ideas are new in fact, they have been around for more than a hundred years and the roots of these ideas can be traced in the Victorian education system anchored by middle class values and respectability. The 19th century Victorian education system was male dominated and geared towards not only providing boys with academic knowledge but crucially and more importantly it was aimed towards developing and moulding their characters. The notion of “character” was pervasive in nineteenth-century British political, social and educational discourse. As Stefan Collini detected, aspects of Victorian political discussions on character can be seen as a way of imposing middle class values on both upper the working classes as well as the impact of diverse influences ranging from religion to literature and even science! Instilling manliness in middle and upper class males was taken seriously and the transition from boy to man was accomplished by several rituals. First was by the age of six, he was recognised as a male child and began wearing breeches or trousers. The trousers enabled the boy to engage more in outdoor play and sports with other boys. This was also the time where a boy’s home education with a governess or tutor came at an end. By the age of eight, he would also be sent away to public school in the belief that schooling prepared boys for the wider world – not just for a future occupation but also the discipline that would hopefully stand him in good stead throughout his life. Also being sent away to school meant reinforcing the gender divide between masculine and feminine roles. As it was observed, “manliness was as much to do with separating from the feminine as with affirming the masculine” and this resulted in a further social gap between men and women as well as reinforcing the bias among men that the company of women was generally not stimulating due to their supposed inferior intellect. Public schools were basically all-male environments in which camaraderie, obedience and excellence were instilled in the pupils. As there were virtually no women in schools manliness could be instilled by discouraging any reference to female members of the family as well as family pictures and room décor that might be perceived as “feminine”. Another aspect of manliness apart from the physical was the revival of the medieval idea of chivalry. 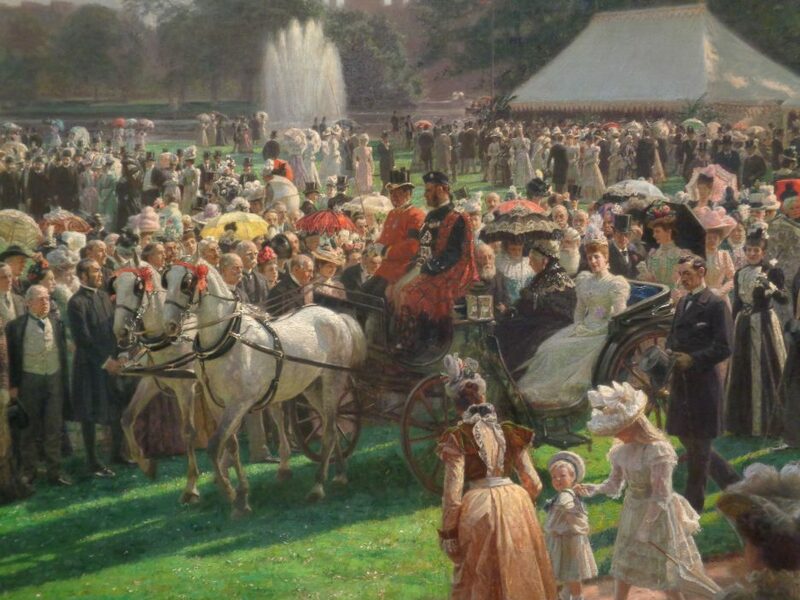 Along with the Gothic revival in art, architecture and literature (Sir Walter Scott’s Ivanhoe being a classic example), there was also the interest in how the ideals of chivalry could be adapted and translated to a nineteenth-century audience. It was asserted that the revival of interest in such an idea “helped to make the old chivalry a valuable imaginative resource in the midst of the social and economic dislocations of the industrial revolution- ” – the earnest middle classes appreciated chivalry as a “timeless and classless moral ideal,” although many of the manifestations of chivalry during this period were mostly concerned with producing replicas such as Queen Victoria’s medieval themed ball and homes in the style of medieval castles for the aristocracy. Others were bordering on the ludicrous such as the Egremont Tournament of 1839. The Evangelicals added a Christian and moral dimension to manliness and chivalry: for them, what was important was the presence of the “inner moral resources of a man which should determine his dealings with the world.” Manliness in the evangelical sense meant channeling one’s energy into work that led to true freedom from dependence. Work was also meant as a means for self-discipline, and thinkers like Thomas Carlyle extolled the virtues of work as another way to avoid falling into the trap of idleness. For evangelicals, manliness and the work ethic went hand in hand. In addition it also referred to the home: the evangelicals sought to disassociate manliness from sexual licence and instead focus on the man as a paterfamilias figure with the ability not just to provide materially for his family and household but to strengthen the bond between his wife and children. Emphasis was also placed on purity – the ardent love of a man for his wife steering him away from sexual temptation. The regime of cold baths and ceaseless physical activity was designed to keep impure thoughts at bay and the evangelical notions of a strong work ethic, fidelity and a close knit family were instruments in the constant battles against temptations of the flesh. In the case of chivalry, its ideals appealed strongly to the evangelicals as well. There was the appeal of qualities like nobility and virtue that were juxtaposed with so-called Victorian values such as steadfastness and duty. To be a man meant discipline, self-sacrifice and stoicism, the evangelicals anchored the belief that a true Christian man accepts and “acknowledges Christ as [his] captain and master.” Aspects of Christian manliness and chivalry could also be found in the literature of the day. Novels such as Westward Ho! and Tom Brown’s Schooldays promoted the ideal of a true Christian man who “should dedicate his body, mind and will to the service of God.” Consecrating masculinity for the greater glory of God in all endeavours was another major theme of Christian manliness. Another Victorian ideal that was connected to character and manliness was self-help and one of its most prolific and famous exponents was the author Samuel Smiles whose various publications most notably Self Help (1859) was a bestseller during its time and translated into various languages, remaining in print to this day in Taiwan, South Korea and Japan. Kenneth Fielden, in his article on Samuel Smiles noted that self-help as a doctrine was vague – the way it was presented was not coherent enough, “it did not appear in the form of abstract, logical argument, but through biographical tales, by parables, stories, aphorisms, proverbs.” Smiles’ books profiled personalities according to categories such as military heroism, achievers in the arts and culture and what is termed as “new heroism” found in scientists, engineers and inventors. Smiles believed that the formula for success rested on traits such as hard work, diligence, self-control, sobriety and cultivation of potential. He disagreed with the idea that innate genius determined success; quoting the painter Joshua Reynolds that hard work was also a road to success sometimes even more than natural talent. What then, is the connection between character, manliness and self-help? Mandler writes that during the nineteenth century, there was the assumption that many British men had all three in spades. Certainly, the achievers that Smiles profiled were seen as the epitome of improvement via self-help where they overcame their handicaps by dint of hard work, integrity and perseverance. Max Jones in The Last Great Quest mentions that heroic exploits exemplified the notion of character and manliness. Like Fielden, Jones also mentioned Smiles’ contribution to nineteenth-century notions of character. The emphasis on manliness was in line with the dominant Victorian discourse on gender and the rigid separation of male and female roles. It is therefore not surprising that in Smiles’ pantheon of self-help icons, only two were women. Ironically the reality is that once some had become wealthy through hard work their aspiration shifted towards their children acquiring the traits of and becoming gentlemen. In this sense they begin to absorb the upper and middle class disdain for manual labour. Manliness then would have to be taught and instilled through another means, most notably through schools and sports. Perhaps the most famous way by which manliness was instilled in schools was through sports and organised games. They were heavily promoted as one way to develop and instill character as well as to channel the hormonal urges of young men in to a hopefully more positive direction. Headmasters and clergymen were concerned with youth possibly falling into sin and impure thoughts: while many social commentators frequently harped on the “physical and moral vigour of the race.” As a result, young men were constantly pushed into a ceaseless round of physical activity – running, cricket, rowing, archery, hiking, climbing and cycling together with cold showers (even in the dead of winter). It was believed that the constant stream of activities as well as the Spartan lifestyle that was demanded would prevent young men from getting into trouble, as the school authorities took seriously the Benedictine maxim that an idle mind was the devil’s workshop. An assertion of manliness through sport was also tied to prowess in battle. The Duke of Wellington was alleged to have said that the Battle of Waterloo was won on the playing fields of Eton and his own exploits on the hunting field were equal to his reputation as a general. It was thought that partly due to the Duke, the “connections between sporting and military manliness [was] already well-established.” Jeremy Paxman mentions the “Breed”, an adjective to describe the embodiment of the ideal man which he describes as “fearless…..bold, unreflective and pragmatic….men you could trust.” The Breed was also poised for action and was seen as reliable in times of crises. In reality, this was not always the case but the all-male public schools did turn out some men who attempted to live up the ideals of the Breed. Alongside cricket, another sport popular in schools and universities was rowing. Part of this appeal was the reminder of the Athenian navy which like its army was comprised of citizens. With the emphasis on sports and organised games as means to develop character, there was also the acknowledgement of its importance to the development of the citizens’ physical and moral vigour as well as the occasional self-congratulation that to be born British meant being the most fortunate person on earth. Apart from the self-congratulatory pronouncements on the strength of the British national character, this was set against other nationalities (especially against the French during the nineteenth century) that often appeared as cautionary tales/moral of the story and served as warnings to the general public. Apart from Christian influence, the concept of manliness was also influenced by ancient Greece. With emphasis on sports and its curriculum dominated by the classics, the public schools were bound to be attracted to ancient Greece as a role model. The admiration for ancient Greece was also apparent in both Oxford and Cambridge and by extension this admiration also filtered through a popular literary genre from the nineteenth century; the school story which always had for its heroes those who “combined dazzling feats of athletic prowess with brilliant scholarship.” Headmasters and university dons emphasized to their students the ideal balance of arête gumnastike (athletic excellence) and arête mousike (literary excellence) and as we shall see later these ideals especially the former would make their way to the revival of the Olympic Games. There was also a strong sense of individualism and competitiveness in the idea of manliness as the industrial revolution gradually broke down the predominance of the landed aristocracy and led the way for others to succeed by virtue of hard work. As a result, there was the encouragement to “always to excel over others” and the competitive ethos spilled over to all aspects of life most notably in sports as played in schools and universities. Foreign visitors to Britain were always struck by the ultra-competitiveness mind-set that prevailed in school and universities as well as the British passion for sports. One visitor to Britain, the French educator Baron Pierre de Coubertin was so impressed by what he saw as the dedication to sports that he thought of applying British methods to French schools as a template for France’s recovery in the aftermath of the Franco-Prussian War. He undertook trips to the US, Germany and the UK to study their education systems and how they might be adapted to France. Coubertin was impressed with the British public school and university system especially what he saw as the balance between intellectual and sporting pursuits which was in contrast to the French system which he felt was too much tilted in favour of the intellect over the body. If France was to recover from the humiliation of defeat in 1870 and the loss of Alsace-Lorraine then reform and a re-think in attitudes would be needed. Coubertin strongly believed that the British education system would provide the template and suggested an injection of sports and healthy physical content into the existing French curriculum to balance out the intellectual content. Playing fields and playgrounds together with changing facilities should be introduced together with a variety of sports for French schoolchildren. He asserted that sports and games could help suppress vice and impure thoughts among the young by diverting their energy into physical activities. To critics who accused him of promoting sport as a form of militarism and military training, Coubertin argued that that on the contrary, channeling the energy into sport was a form of freedom. Sport for him provided moral lessons in fair play, sportsmanship and character building. Crucially he believed that sport had the capacity to bring people together united in the common pursuit of excellence and passion for sport. It is clear that the telegraph, railways, the telephone, the passionate research in science, congresses and exhibitions have done more for peace than any treaty or diplomatic convention. Well, I hope that athletics will do even more…Let us export our oarsmen, our runners, our fencers into other lands. That is the true Free Trade of the future; and the day it is introduced into Europe the cause of Peace will have received a new and strong ally. This is enough to encourage your servant to dream now about the second part of this programme; he hopes that you will help him as you helped him hitherto, and that with you he will be able to continue and complete, on a basis suited to the conditions of modern life, this grandiose and salutary task, the restoration of the Olympic Games. This set the motion for the eventual staging of the first modern Olympic Games in Athens in 1896. Since then every four years, they have been held in a different city and while the Games have more often than not fallen short of the ideals set by their founder, the notion of sport as character building, instilling discipline and fostering the values of sportsmanship and fair play with its roots in 19th century Britain still lives on. Kenneth Fielden. ‘Samuel Smiles and Self-Help’, Victorian Studies 12 (1968), pp. 155-176.